Home / Uncategories / OAU to host Olawepo Hashim, as he delivers public lecture on development in Nigeria. 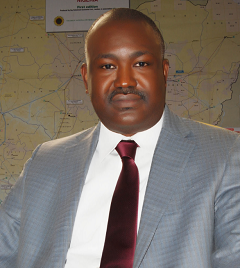 OAU to host Olawepo Hashim, as he delivers public lecture on development in Nigeria. A mind blowing and game changing public lecture at the Post Graduate College of Obafemi Awolowo University, Ile-Ife is to come up on 23rd May, 2018 inside the Oduduwa Hall at exactly 4pm. The public lecture titled, Nigeria: agenda for an all round development is to be presented by Mr. Gbenga Olawepo Hashim, a man with all round experience in Business, Oil and Gas, Politics, Human Rights and Communication. Mr. Olawepo-Hashim is a Global Energy Executive and founding Deputy National Publicity Secretary of the Peoples Democratic Party (PDP). He is one of the few Nigeria leaders who combine solid business record with strong political background. A successful entrepreneur with a 26 years impeccable business history. He is chairman of Oilworld Ltd, operator of OPL 241 in the continental shelf of Nigeria as well as chairman Transnational Energy Limited. He is also chairman of Bresson A.S. Limited, owners of the 90mw Magboro Independent Power Producing (IPP) project; amongst many business concerns locally and globally. Gbenga is generally acknowledged as principled and courageous. The lecture is to be chaired by OAU Vice Chancellor and the general public is cordially invited.